Crystal Quartz Gem Chip Choker. 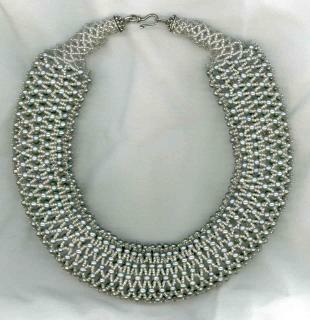 This unique and stunning choker is one of my most popular finished jewelry items. You can make it yourself from my detailed, illustrated instructions. 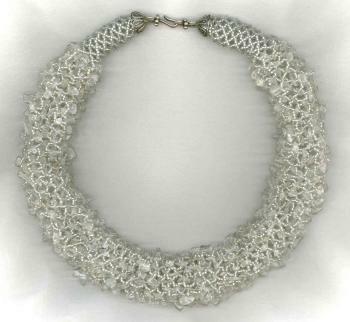 The sample shows a finished necklace in Crystal Quartz chips with Silver/Gray Delicas. Spring Garden Necklace. 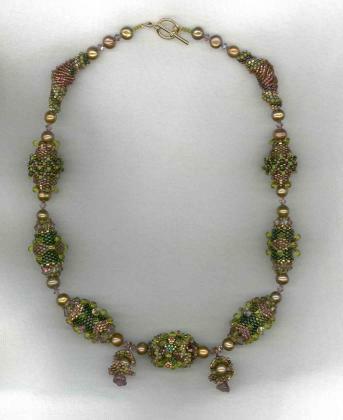 Learn to make the four charming beaded beads used in this necklace. Instructions for the beaded beads include many photos and illustrations, and also explain how to string them with other elements for a lovely wearable art necklace. 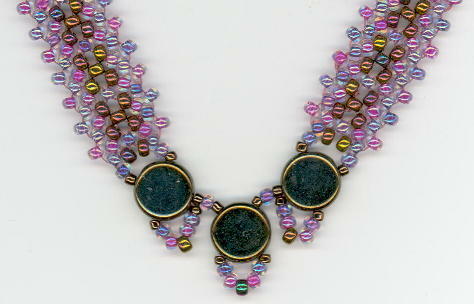 Collage Bead Necklace. These detailed instructions with lots of photos and illustrations will teach you the six beautiful and versatile beaded beads in this necklace, and also explain how to string them with other elements for a stunning wearable art necklace. 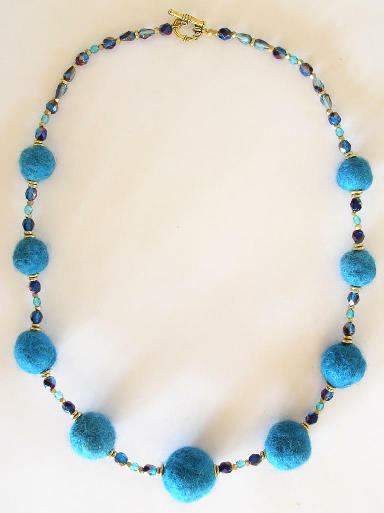 Felted Koolaid Bead Necklace Instructions. 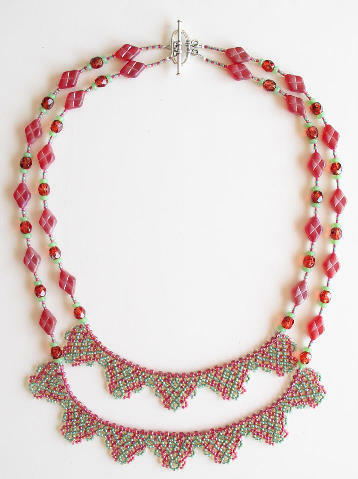 Complete instructions for creating beads from wool roving and assembling into an attractive necklace. Koolaid or any other dye may be used for the wool beads. Russian Netted Scallop Necklace Instructions. Complete instructions using a beautiful and versatile Russian weave lace stitch. This is an intermediate project. Beaded Belt Purse or Fanny Pack Instructions. Complete instructions including bead pattern and a pattern for cutting the leather. This project is for intermediate beaders. You should know circular peyote stitch. 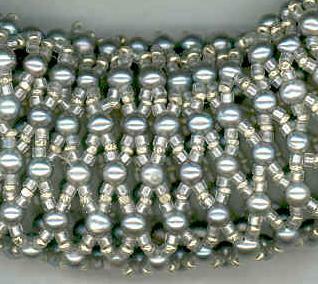 Netted Pearl Choker. 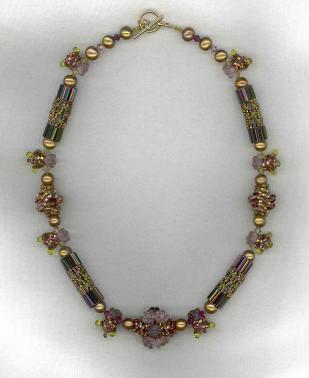 This eye-catching choker has always been one of my most elegant finished jewelry items. Now you can make it yourself from my detailed, illustrated instructions. 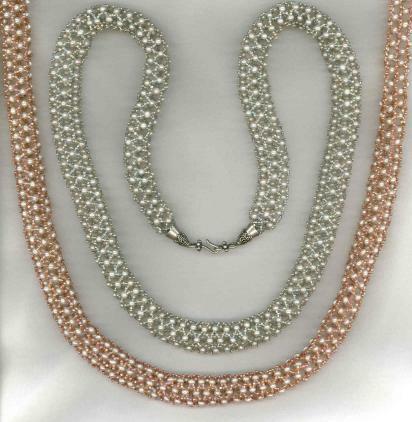 Netted Pearl Rope. 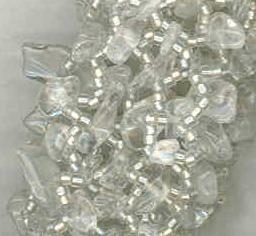 The samples on the left illustrate finished necklaces with white pearls. The inner rope has Blue/Gray delicas with Silver #14s, and the outer rope has Rosy Taupe delicas with gold #14s. 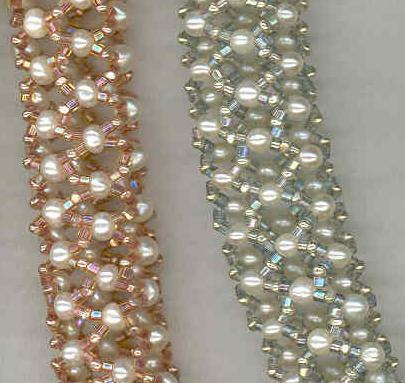 This is a beginners project: You can create this Pearl Rope even if you've never done any beadweaving before. Russian Lace Necklace Combo. 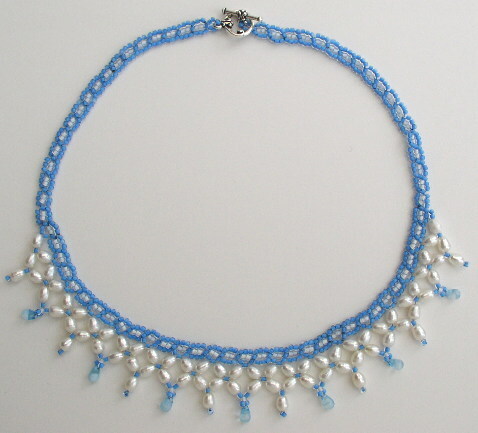 This jewelry combo uses a "daisy chain" Russian weave stitch. 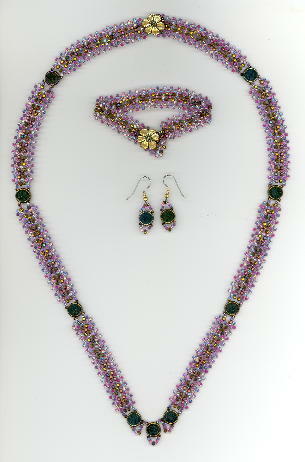 In the sample shown left and above, the necklace is 28" in length, and the bracelet is 8" in length. This combo is suitable for advanced beginners. Button Bracelet Instructions. 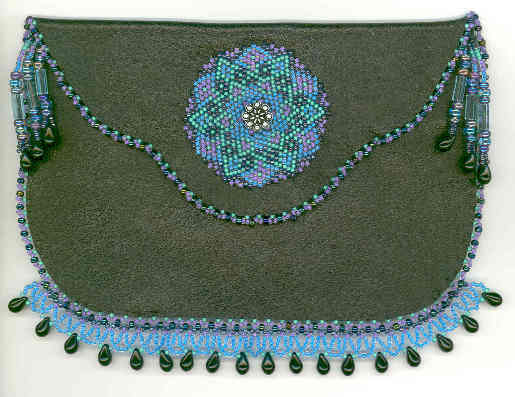 This project uses the ladder stitch, and is suitable for advanced beginners. A great way to use up some of your beautiful buttons.